How to save money when you are living on a tight paycheck to paycheck budget. I grew up hearing the line, “save some money for a rainy day”. Sure, easy to say, but how on earth do you do that when you are living paycheck to paycheck? Well, I am going to show you how to save money when you have no money to save. 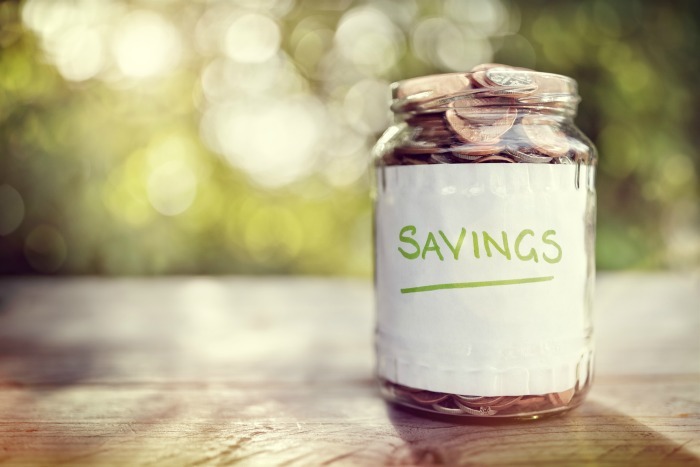 Finding money to put into a savings account from an already airtight budget may seem like an impossible task, but actually, there is hope. Whether you are like me and already have every penny earmarked, or you are just starting out on your journey to debt freedom, I am here to tell you there is always some “extra” money even if it is just pennies to start. The trick is knowing how to find those pennies. When looking to start a new savings goal, first ask yourself the following questions. Where will I keep the money? I know, pretty straightforward questions, but I believe it is much easier to find money to save when you have these answers set in your head. 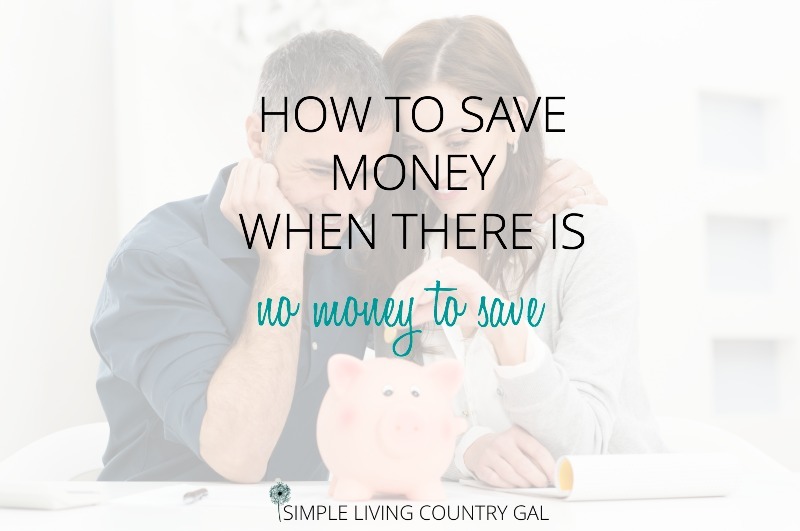 Saving the money is actually the easy part. The hard part is setting up the plan. Knowing where you will get the money and how you will save it. That is the secret sauce to this system. Question #1 What is the money for? I know, it is pretty impossible to foresee the unexpected. There is just no way to know when the car will break down or the dishwasher will bite the dust. If you do not have an saving’s accounbt for the unexpected I highly suggest you get one and quick. Relying on a credit card for normal emergencies is not the way to go. So for this scenario let’s say we are setting up your initial emergency fund to pay for any surprises that show up out of nowhere. A normal emergency is just that. Something that tends to come up for the normal family. Car expenses, medical, household, etc. Having a small amount specifically earmarked to cover these costs will not only keep you from encurring more debt but will also help you sleep at night. Most unexepected expenses tend to be in the hundreds with a few venturing into that awful area of the thousands. If you are setting up your emergency fund for the first time Dave Ramsey suggests starting with $1000. When I first heard of this that number terrified me. Not only did I completely believe it would be impossible for our family to save that amount. But when you are living on a tight barebones budget…having $1000 dollars sitting in an account can be a temptation that is hard to resist. If that happens to be what you are thinking right now, don’t worry, we are going to fix this temptation in just a bit. I know this sounds like a monumental task especially if you are living paycheck to paycheck but luckily there is no time frame here We just need you to have a goal so you know what you are working towards. Okay this part is the key to not only saving the money but actually keeping that money in savings so you cannot easily get to it yet you CAN get to it when you need it. If you are highly disciplined then a separate account at the back you frequent will work just fine. Most banks offer free checking or savings accounts allowing you to have just as many accounts as you need. Ninja TIP: If you have numerous accounts at the same bank choose a different design for each debit card and label the back so you know what account it belongs to. The different designs really help keep the accounts straight. However, if you are like me then having your money so easily accessable might not be the best idea. There are so many online accounts that you can use for free to save up money for not only an emergency fund but for just about anything you can think of. Since I began utualizing these accounts we have been able to save money for goals that we were never able to save before. Future purchases, weddings, college expenses, holidays, trips, and so much more. By allocating every single penny and breaking things down into specific accounts we are now able to up our savings game. This has kept us from incurring any new debt and has also brought back a good nights sleep. I had no idea how our finances were keeping me up at night until I was finally able to get them under control. Since there is never really a way to know when an emergency is going to come up I think the best answer to this question is ASAP. Knowing your time frame is immediate that will ehlp you to be a bit more aggressive on your money hunt. Now that we have the preliminary questions out of the way, let’s find you some money! Like I said before when you are living paycheck to paycheck most of your household money is going to be allocated down to the penny. So when you are preparing to set up a new savings goal you will want to look at your budget for the month. Ask yourself if there is any place at all you can cut right off the bat. 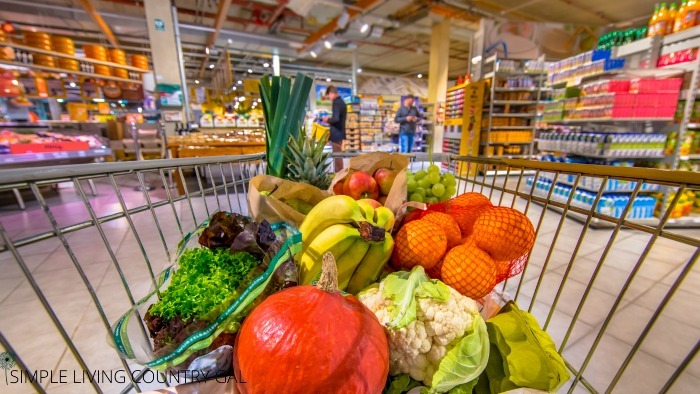 If you are like me, I am sure the first place you are looking is your grocery budget. More often than not families tend to have quite a bit more money budgeted for food. And even if you do not you could still probably skim $5-$10 off that amount each month without it hurting too badly. Hidden treasures are a great place to find a few bucks here and there to save. I am talking about loose change, spare bills, and returns. If you are living tight this might already be set for something else and if that is the case maybe you can split these funds up a bit to cover more than one area. If this money is fair game, however, this can be a great way to fund a new savings plan. When you are learning how to save when you have nothing to save you need to find every penny you and. We are in warrior mode here so you need to get serious with your cash. Each week gather up any change in your purse (always keep a quarter in your purse especially if you shop at Aldi’s or other cart rental store) and deposit it into your account that you have set for your online savings withdrawals. I like to write up a deposit slip and put it in my errand basket so I do not touch it and I don’t forget it. Now we are going to work a bit for our next batch of funds. Selling things online is nothing new but it still surprises me how many folks do not take advantage of this amazing tip. Not only can you sell things online for FREE but it is so much easier than you might realize. Other than setting up an account selling is a piece of cake to do and a wonderful way to make some extra money to fund an emergency savings account. It is super simple to find things to sell to make some quick cash. Here is a quick list of things that sell well online. Toys – Especially close to the holidays. Sports equipment – Offer at the right time. Golf items in June for example. Excercise equipment – Sells really well in January. You can see by this list that I am not asking you to pawn your grandmother’s china. It’s the every day things that sell fast expecially on Facebook. People are looking for quick and easy deals and that is perfect for someone that is looking to save when they have no money to save. My next tip is not for the faint of heart. Actually it is for the money saving Ninja that is willing to do whatever they can to get out of debt. Having said that you might find it surprising that I am now going to tell you to dip into your debt repayment funds to put into your emergency fund. Oh boy, I can see you throwing your hands up into the air as you are reading this but hear me out. Getting out of debt is more than just paying it off. Yes, that is a HUGE part of it but there is so much more to it thanb that. If you truly want to get out of debt then you need a plan so you never get back into debt again. Having a savings account to stop further credit card usage is the secret sauce to not getting back into debt again. Just like you cannot build a house without a good strong foundation you cannot stay out of debt without a good solid plan. Until you are fully funded in your unexpected expense savings account, I suggest you take just 10% of whatever you are repaying to your debt each month and deposit that amount in there. Once you have your savings account fully set up you can go back to full debt repayment mode. So, if you are paying $100 a month to debt repayment then you will take 10% of that amount or $10 and deposit it into your emergency savings account. If you are paying $1000 a month you will deposit $100 into your savings account. To make sure this is only a temporary event, make a note on your calendar AND set up a reminder on your smart phone. This is serious business so you need to have a stopping point set into place to ensure you get yourself right back on track once you set up and fully fund your account. READ: MY FAVORITE ORGANIZATIONAL TOOL – NEVER FORGET AGAIN! You need to remember, getting out of debt isn’t just about paying off credit cards and loans, it is about learning to live within your means. You cannot put all of your focus into debt repayment, then get hit with a repair bill and be forced to use your credit card to pay the fee. You have to learn a new way of thinking. Funding this account will take some time, I get it. Do not let this discourage you. Having a nice savings account set aside to cover you in the case of the unexpected is pretty darn liberating. Proactive money managing will be the difference between where you are now and where you want to be. Allocating funds for unscheduled bills is a must in your path to becoming debt-free. Preparing for the unexpecte will not only keep you from incurring new debt but also get you out of dect much quicker. As you are working to pay off those credit cards you begin to see your time as money and change what you put your focus on. Make it instead of buy it will save you money big time. Money that you can use to fund your savings account so you can get back to paying down that debt. As you work to make a financial change your mindset will change along with it. Hi Tracy, what a great blog and practical, too. It’s such a great idea. Although, some months pennies might just be the only thing that goes into the account. But that’s ok, you know what they say “A Penny Saved Is A Penny Earned”! Thanks for the fun and informative blog! I am so glad you stopped by! Yes, those pennies do add up. Every year I hide all my loose change for Christmas shopping and it still amazes me how much I am able to save in a year…in change! You will be surprised by the amount of loose change that is dropped and not picked up. Over the space of one year loose change on the ground can add up and I live in a rural community and small town $22.42 in one years time. You think that’s not much but that is in your pocket and not in a garbage can. Oh I just love this, thanks for sharing Ruth!! Loving this post with these practical tips that anyone can use. 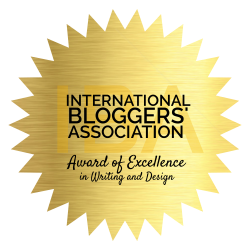 Will definitely be following your blog!